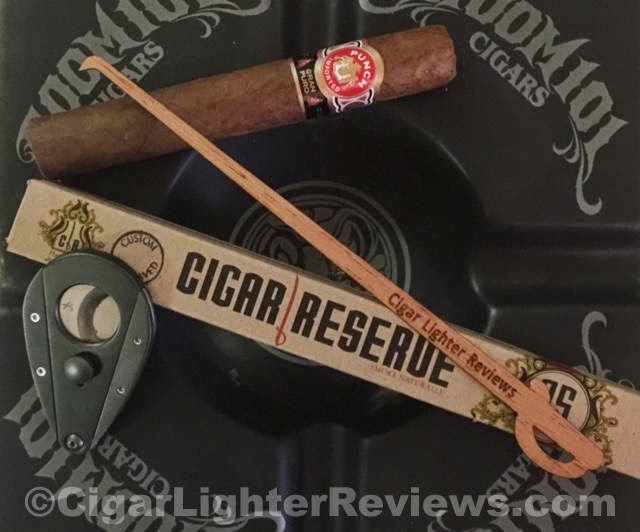 Cigar Lighter Reviews by: "Just A Dude"
Time to mix it up a little bit around these parts on CLR. Yeah, I love my lighters, though, also appreciate the more reserved old school approach to firing up a favorite cigar. I always say, don't waste a good cigar using a crappy lighter. The same goes for using something else other than a lighter. 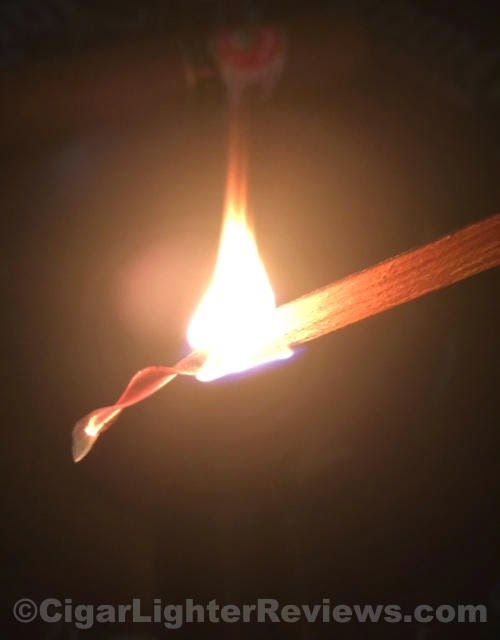 Personally, I despise matches, the taste and smell of matches is a turn off for me. 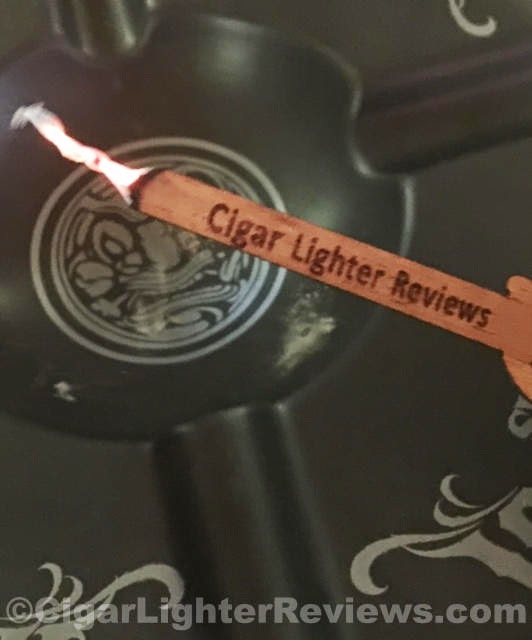 Cigar Reserve was gracious enough to provide me with some of their pride and joy cigar cedar spills. Sometimes generically referred to as cedar strips. For the record this is the only item I have accepted from a manufacturer for any review to date. I pride CLR on being biased free and will always note if it has been provided for free as is the case with this review. Fortunately, the Cigar Reserve cedar spills received have been a welcomed change from my day to day favorite lighter(s). Cigar Reserve uses only top grade Spanish cedar from Portugal and follows the process from beginning to end, guaranteeing a high quality product in a box sold. The spills are in the shape of a Spanish saber, great design visually and for lighting. When they arrived and I unboxed them my nose was immediately met with the lovely sent of cedar. How can you not love the smell of cedar?! This was prior to me even opening the box the spills are packaged in. Worth noting, the packaging is very well thought out, with slide out tray. These spills can be ordered with or without laser etched for a special occasion or event. I have used spills in the past, but upon initial light I could tell this something different all together. Simply light the tip of the spill and hold at the recommended 45 degree angle to begin the process. It did burn a bit quicker than I expected. The spill burned slow enough for me to use twice, whether a touch up or new cigar all together. To extinguish simply hold upright or a gentle blow to put out. I purposely pulled in smoke given off by the Spanish cedar and was able to pick up the flavor. Must say, I enjoyed the subtle hint of cedar I have never really picked up on when using cedar laying around at my local B&M. Cigar Reserve does it right, no doubt. Overall, I really enjoyed the Cigar Reserve product and will be a future customer. Don't get me wrong lighters are still my go to, but these spills are a great change of pace. Lastly, I recommend using indoors or with no outside breeze due to ash and not being wind resistant. If nothing else visit Cigar Reserve's website and have a look around. They are very responsive and professional.